This water project team decided to tackle the issue of providing a sustainable, potable water source for the people in the Village of Sumaoy in the Philippines. 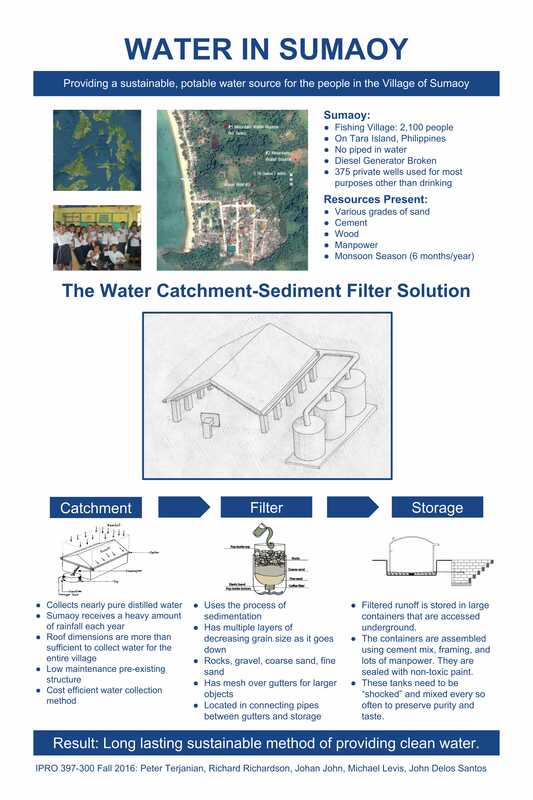 Their intended solution is to a system for pre-existing structures that will catch the monsoon water run off. This water would then go through a sedimentation filtration system before being stored in large tanks with spouts to access the water in the tank.